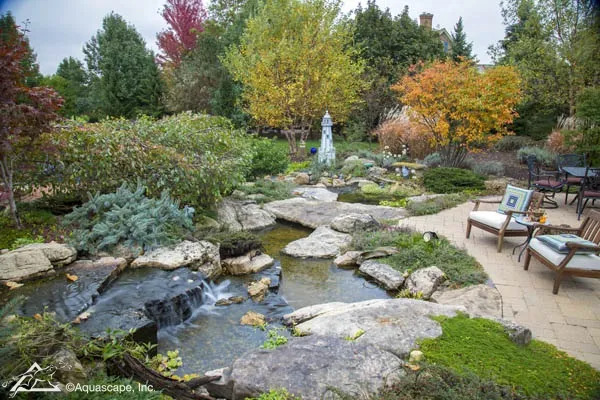 Putting your pond to bed for winter doesn’t need to be an arduous process. 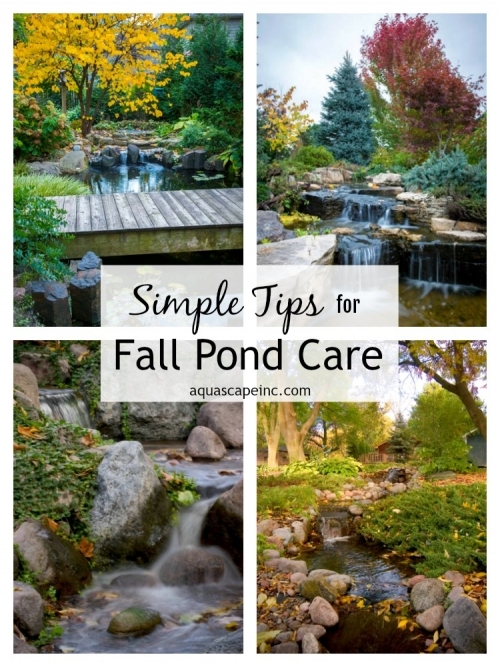 Sure, it’s sad to say goodbye to your finned friends for a few months, but following our simple fall pond care tips will ensure that your fish joyfully greet you again in the spring. Putting a pond net over your water feature before leaves start falling from trees is the easiest way to contain and manage leaf control. Once all the leaves have fallen, simply roll up the net, discard the leaves, and put the net away until the next time it’s needed. Add cold water bacteria, such as Aquascape Cold Water Beneficial Bacteria to help keep pond water clean and clear. Cold Water Beneficial Bacteria contains concentrated strains of beneficial bacteria designed to work in temperatures lower than 50 degrees. Regular use of Aquascape Cold Water Beneficial Bacteria will help maintain water quality and clarity, as well as dramatically reduce spring maintenance by digesting debris that may accumulate over the winter months. Operating your pond and waterfalls during the winter will provide beautiful ice formations for you to enjoy throughout the frosty season. Keep in mind, there will be a bit of maintenance required this time of year, such as topping off the pond due to evaporation. Also, you’ll need to make sure ice formations don’t create dams that can cause unnecessary water loss over the edge of the stream. Remove the pump from your pond and store it in a warm place like the garage or the basement. Protection from the cold lengthens the life of your pump. Drain the water out of the plumbing. This prevents standing water from freezing and expanding, potentially cracking the pipes that connect your filtration system. Remove and clean the filter media and spray them thoroughly with a garden hose. Store them in the garage or the basement along with the pump. Oxygenate the water by placing a small re-circulating pump, such as the AquaForce Pond Pump® on the top shelf of your pond. Oxygenating the water is not only for the sake of your fish, but it also helps keep a hole open in the ice when the surface of your pond starts freezing. This hole allows harmful gasses to escape, and oxygen to get in. If it gets really cold where you live, you may consider adding the Aquascape De-Icer. At extremely low temperatures, the oxygenation of the water may not be sufficient to keep a hole open in the ice. That’s where the De-icer saves the day. It compliments the AquaForce and, together, they’ll keep most any pond open. A well-balanced diet creates healthy, happy fish. You want to make sure your fish are in good condition before they go into hibernation. When the water temperature falls below 60 degrees, the metabolism and digestion of your fish begins to slow down. Aquascape Premium Cold Water Fish Food is scientifically formulated to properly nourish your fish during these lower temperatures. Be sure to stop feeding your fish when water temperature falls below 50 degrees.